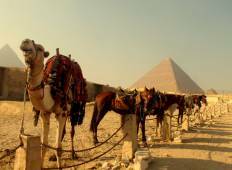 "Booked Nile cruise tour package last month. I chose this tour company because they..."
"Pete was the best tour guide I have ever used ... He was very knowledgeable and he..."
"We had a wonderful time with Sam and our group of 11. It was a whirlwind few days..."
"It was a good trip,the guide was very good and was very helpful. The only part that..."
"Great itinerary. Didnt seem too rushed either. Did so much more, and learnt so much..."
"What a fantastic tour. Our tour guide Sam was a gem , he was informative, passionate..."
"This trip was more than I expected Sam is so knowledgeable and friendly which made..."
"Thought it was a group. Different Guides lack clear english! Got to see what I wanted..."
"Really fantastic tour! Tour guide was superb! It was a lot to see and a lot of travel..."
"This was an incredible trip! We did a three week trek through Greece, Egypt and Italy...."
"Overall it was a great experience! Sam had everything running smoothly! 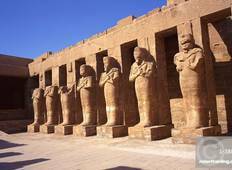 The tour..."
"We had a wonderful tour of Egypt. We stayed in Cario and got to experience more of..."